The Avenger / Manfrotto B7034 Long John Silver Junior Strato Safe Stand is unsurpassed in strength, safety and reliability. This four section stand has three risers that adjust via its winch-cable drive. 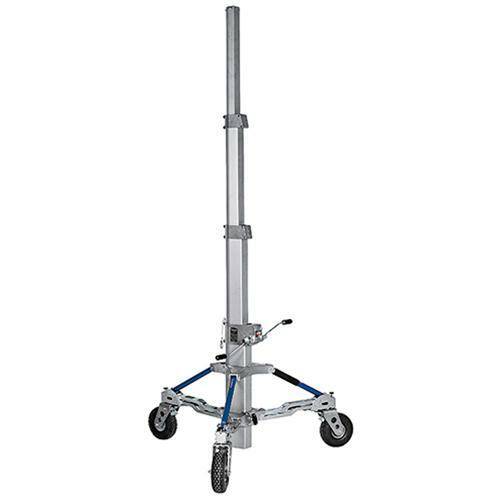 Long John Silver Junior rises to a maximum height of 11′ (3.4 m) and has pneumatic wheels. For stability on uneven terrain, it has a leveling leg.